Reduced rego for Cross Country 2018 | Knox Little Athletics Centre Inc.
← Knox LAC Cross Country is back! 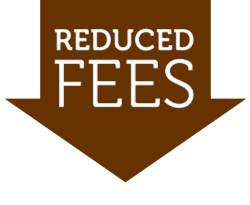 Reduced fees for Cross Country 2018! $65 per athlete – April to August. Knox Athletes: If you were registered with Knox LAC for Track and Field this season, you are already registered for Cross Country. Nothing to pay. Just bring your current number patch and be ready to run! New Athletes: If you haven’t done Cross Country before, come and give it a try! Come to an event and see one of our volunteers at the registration/recording desk. For information about joining up, see the Register page. Other Centres: Registered athletes from other LAVic centres are welcome to participate at normal meets. Just bring your current number patch and check-in at the registration/recording desk so athlete details can be recorded. Also see the Cross Country page for more info.